The release of the Feudums Coat of Arms Creator marks a major milestone in the game's development according to Matyas Suranyi, the game's designer. Not only is it the first release of the Second Phase of Feudums' development, it's release allows the player community to begin thinking about their in-game identities. "We wanted to bring medieval life closer to our players and depict medieval heraldry in detail, but also maintain an intuitive and easy-to-use system," Suranyi said. "Our focus has been put on the latter - as user experience is more important than historical accuracy - so we simplified some of the "real world" rules of heraldry. Still, with some of the complexity removed, the main intention was still to save the unique lore, vibe and feel of medieval heraldry and to show it's rich and deep territory in a gamified way. Hopefully, with some success. " 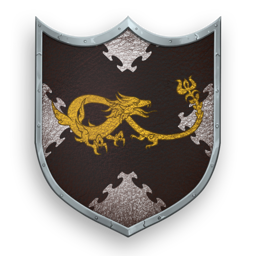 While the Coat of Arms Creator can only be used off line currently, once the Player Module is released, players will work on their Coat of Arms during the registration process. Each coat of arms in the game will be unique to a player. Within the Coat of Arms Creator are explanations of the meaning of each of the different sections allowing players to invent interesting back stories for their persistent player Houses. Feudums is also running a contest for best design and most interesting and best written back story. Details are available on the Feudums web site. Using the Coat of Arms Creator is very simple and can be completed in just a few steps. Players start by choosing the shape, material and shade of the shield followed by the type and shade of its' edge. Then players choose the colors and other artistic options to complete the design. Every design choice a player makes has a deeper meaning which is described in the shield attributes next to the design. "Our Coat of Arms Creator allows players to not only develop their in-game identies but also, hopefully, learn a thing or two about medieval heraldry and lore," Suranyi added. The off-line version of the Coat of Arms has some limitations on it. Designs cannot be saved and all features are not yet available. Certain locked items are available in this release that will eventually be locked for in-game achievements or purchase.